Bayfield bed and breakfast travel guide for romantic, historic and adventure b&b's. 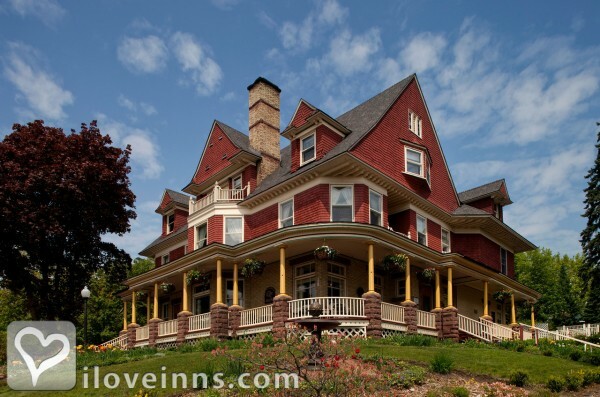 Browse through the iLoveInns.com database of Bayfield, Wisconsin bed and breakfasts and country inns to find detailed listings that include room rates, special deals and area activities. You can click on the 'check rates and availability' button to contact the innkeeper. What once was a lumber town is now a city that boasts many interesting sights. Bayfield has in fact become one of Wisconsin's top destinations of visitors and tourists. Being at the entrance of Apostle Islands National Lakeshore has been an asset for Bayfield. Many Bayfield bed and breakfast inns are known for catering to the needs of their guests. The Bayfield Heritage Tours is one of the best ways of going around the city to see its attractions with convenience. Avid golfers can play at the Apostle Highlands Golf Course, which is only a mile away from Bayfield. To tour the lake area, try the Apostle Islands Cruise Service or Dreamcatcher Sailing Day Trips. Only three miles away from Bayfield, skiers can have fun and adventure at Pike's Creek Mt. Ashwabay Ski Trails. By Lucy's Place.